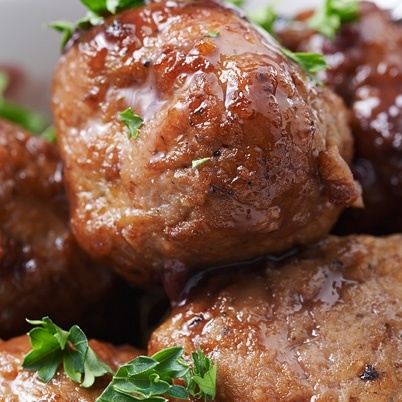 SugarCreek’s core competency is production and packaging of fully-cooked and raw proteins. During the past decade, SugarCreek has broadened its product line to include not only raw, but a wide variety of ready-to-eat products. To achieve that, we’ve put in place advanced processing and cooking technologies giving us the flexibility to respond to the ever-changing demands of the food industry. Over the last 50 years, we’ve developed a range of skills and proficiencies that have not only allowed us to partner with customers to enhance the quality of their products, but have also put us in a position to collaborate with them to co-develop entirely new sets of products. 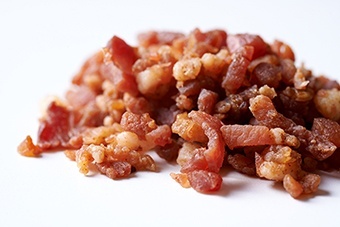 The most recent addition to our high-tech solutions is Laser Sorting of Bacon Bits to remove foreign material. We've implemented a vastly improved Vision Slicer Technology in our ready-to-eat strip lines that enable us to meet and exceed customer expectations, and an X-Ray System that allows us to locate and remove foreign materials from products. SugarCreek’s Slicing Technology in both raw and RTE is the finest in the industry. 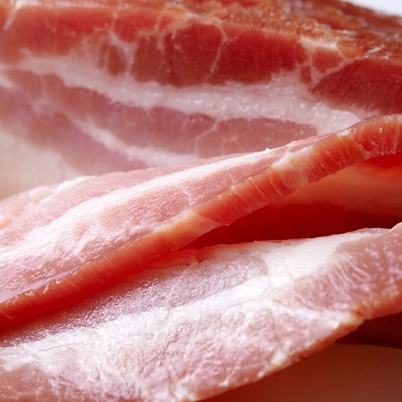 Using high-speed lines, our slicing technology allows us to precisely meet our customers' weight and count requests, regardless of the specification. These slicers produce maximum yield which translates to better value for our customers. SugarCreek manufactures many products through Extrusion. 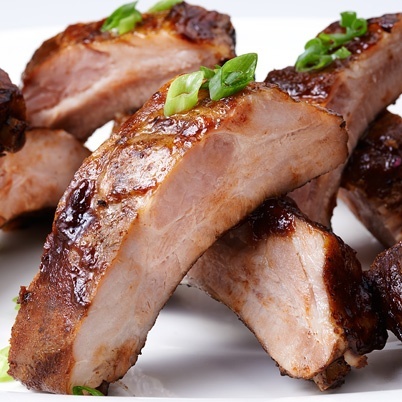 Our one-of-a-kind processing techniques, smokehouse capabilities and our ability to employ natural smoke all combine to benefit customers by adding a range of distinctive and desirable flavors to our products. 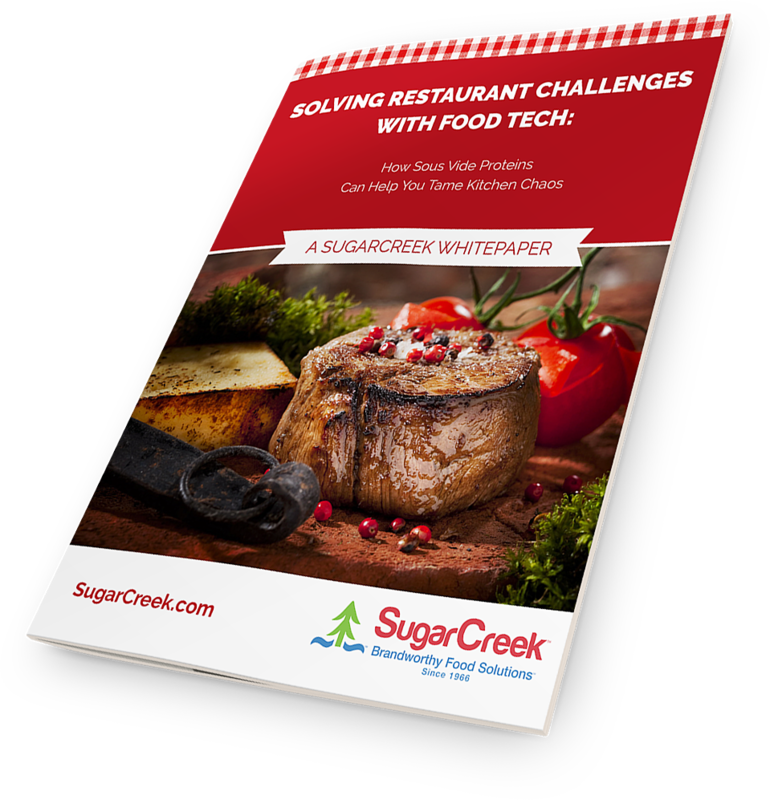 At SugarCreek we use a variety of cooking systems to manufacture our fully-cooked products, including microwave, multi-purpose, impingement, infrared ovens and sous vide systems. These processes give our premium products the attributes and rich flavor profiles our customers desire. 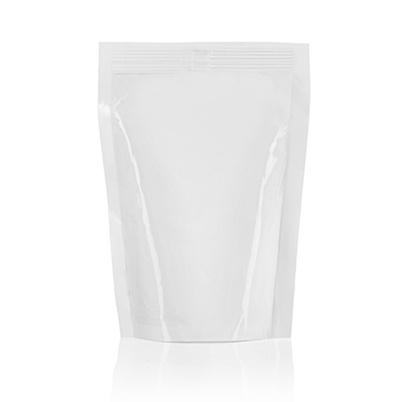 Our packaging options range from retail single 1.4-ounce pouches to 35 lb. industrial-sized packs and everything in between. We utilize many types and sizes of vacuum and gas-flushed packaging machines, vertical form and fill machines and overwrap machines. With the help of our sister company, Wingate Packaging, our capabilities are extraordinary, and we take great pride in fulfilling all of our customers' requests.